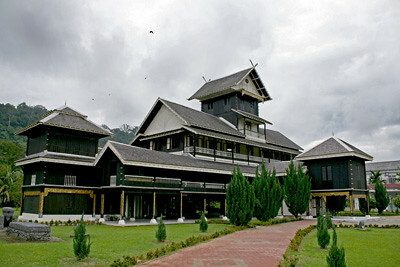 The Sri Menanti Royal Museum once served as the royal palace for state royalty. It is located in Kuala Pilah. The wooden palace is built with Wooden pegs, using no screws or nails with beautiful solid timber pillars. Within its Walls you will lots of history, including royal costumes and documents of lineages. Sembilan practises Adat Perpatih, which is not practised in most other states in the country. Adat Perpatih is a matrilineal custom and is said t0 be between 3,000 and 4,000 years old and was brought to Peninsular Malaysia by the Minangkabau people in the 14th Century.